This last week in the ONP has been spent sitting around a campfire, walking a few miles a day and hanging out with a friend. Nothing too interesting to report, just killing the week to give the snow a bit of a chance to melt in the alpine; so that I can get back on track with the planned itinerary. 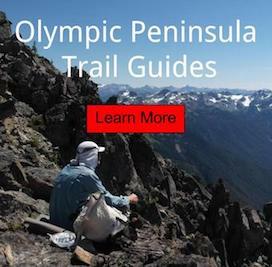 The next 14 days will be spent crossing the Olympics two times, with separate routes. First southbound and then northbound, with lots of off trail traveling planned. Maybe I'll see you out there? Not posting a snowmelt report this blog, because not in an area that had any. Campfire, during the first rain in weeks.